A new research project in Lincoln with Professor of Drawing Mike Esson, who works within the College of Fine Arts (COFA) at the University of New South Wales (UNSW), Australia. The AHRC Network grant essentially brings external networking dialogue into developing the Art of Reconstruction here in Lincoln. (Professor Esson came up with the title). Professor Esson has run drawing and modelling courses for plastic surgeons in Australia for several years. The Network bid also brings into the project Professor Belinda Colston from Forensics in the Faculty of Health, Life and Social Science, UL. Guy Sterne, a member of the Association of Plastic, Reconstructive and Aesthetic Surgeons (BAPRA) and a distinguished plastic surgeon, is an advisor. Business development manager Michael Poole continues to play a key role in bringing the plastic surgeons together. 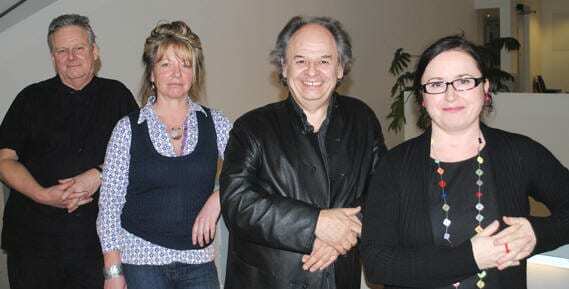 A successful drawing and modelling workshop for several UK plastic surgeons, taught by Professor Esson, took place in Lincoln School of Art and Design in February 2011. The Head of School is Dr Alec Shepley.